Just Romantic Suspense: A Dark Modern Plot was Born in… a Peat Bog? A Dark Modern Plot was Born in… a Peat Bog? Congratulations to "Jaclyn L." the winner of Melinda's giveaway. Thank you to all who participated! People often ask me how I come up with the ideas for my stories. They generally just pop into my head, often at odd times. Anything can spark an idea. For example, the main plot of Midnight Exposure germinated while I was watching a documentary on the ancient Druids. No, I don’t write historical fiction. My romantic suspense is 100% contemporary. But I’m a hopeless geek. I’m fascinated by archeological finds and the stories behind them. 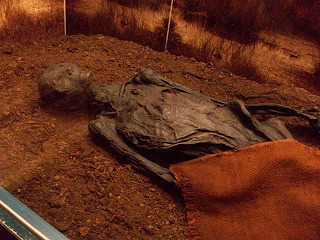 Bodies have been discovered in European peat bogs since the nineteenth century. Some date as far back as the Iron Age, when Celtic tribes occupied this region. The properties of the marshes act as an excellent preservative, and many interesting facets of Celtic life have been gleaned from studying the remains. Such as the fact that it’s likely the Celts practiced human sacrifice, and they did so in a variety of interesting ways, depending on the particular god(s) they wanted to appease. Immolation, drowning, throat slitting, and blunt force trauma were all used in ritual killings. One evening, as I sat enthralled by a documentary on the ancient Druids, I wondered if there were any Druids still practicing today. The answer is yes. Obviously, sacrifices are no longer part of these rituals, but plenty of modern pagans exist. I even watched a video on YouTube of the summer solstice celebration at Stonehenge. It was quite beautiful. It would be hard not to be moved by the sight of the sun rising over those great stones. My story has no reflection on modern Druids. They are peaceful, nature-loving people. But my brain always twists things into something dark. Modern, harmless pagans would not work for the dark romantic suspense that I love and write. For my story, I would have to go old school, back to the time before science, when things that couldn’t be explained were blamed on the gods and elaborate rituals were performed to gain their favor. From this point on, my plot wheels started turning, and Midnight Exposure was born. 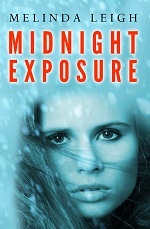 I will be giving away a print copy of Midnight Exposure to one lucky commenter. Congrats on the new release, Melinda. I learned about bogs in archaeology class in college and saw pics of the Tollund Man. Jane, I always wanted to learn more about archeology (and a zillion other things). Thanks for stopping by. Trish, I get ideas from all sorts of weird places, and I love the cover, too. Jaclyn, history is fascinating and a great source of material for writers. Thanks for reading. I love documentaries-- I love learning new things, which probably explains why I'm a career student :). Being in science, I tend to favour science documentaries, but my dad's a bit of a history buff so I've seen plenty of those as well. Good to know about the peat bogs. I would never have guessed. :) I love science documentaries as well, which is probably why I drift to science fiction every now and then. Thanks for visiting today. Melinda, I just wanted to stop by and say I loved She Can Run, and I'm anxious to read Midnight Exposure. I agree, I've found documentaries to be a wonderful source for story inspiration. Thanks for writing such great books! Thanks, Mal. Nothing makes me happier than people who love my books. I hope you enjoy Midnight Exposure. The History and Discovery channels have some of my favorite shows. I also love watching the Destination Truth (more for the humor), and Decoded. They spark the imagination. Love your books and hope to read this one soon. Congrats on your success. Thanks Brenda. I'll have to check out Destination Truth and Decoded. I saw a documentary about Celtic battle practices during roughly the same era. Apparently, they were fond of chopping up their enemies. Archaeologists determined by the cut markings that they definitely were intentional. A little disconcerting given that on am Celtic on my mother's side. I loved She Can Run and am looking forward to Midnight Exposure. I was happy to learn on Romantic Bandits that you plan sequels or more for the books! Marijane, Thanks so much! Two sequels are in the publishing queue and more will follow as fast as I can write them! For those who missed that post, She Can Tell (sequel to She Can Run) releases December 4th. I also just finished writing Midnight Sacrifice (sequel to Midnight Exposure). It should release in spring 2013. Another book in the She Can series is underway! I have watched some really interesting documentaries... the things you learn... amazing. Thank you for sharing with us today! Happy Autumn! Happy Autumn to you, too, Colleen. Thanks for stopping by. Druids have always fascinate me. They are an unknown mystical races. Their rituals are unknown to the outsiders. It will be very interesting to learn about them. What would make it more fun is when your book has something about them that we readers don't know about. Kai, one of the most interesting things I learned in my research about the Druids was that they kept no written records. Their traditions were memorized and passed down orally. This is one of the reason their history is so murky - and mysterious! Thanks, I love the cover, too. It is a fascinating subject. I'm a fan of Historically related documentaries. I'm looking forward to reading MIDNIGHT EXPOSURE. Marybelle, I hope you enjoy it. I a big fan of documentaries, also! The book sounds great, I'd love to be entered to win. This just goes to prove that story ideas are everywhere, we just have to be open to receive them. How true, Dana. That's why I'm always writing things down on the backs of receipts. An interesting post, I'm always fascinated with the story about Druids, although I don't believe in gods but I do believe in One True God according to my religion. The Druids were definitely part of a mysterious culture. Thanks for reading. When I was in England, looking down on stonehenge was one of the highlights of the trip. That is a place where your imagination can run riot. Stonehenge is on my travel wish list! I'd love to see it in person. Picture can't possibly do it justice.